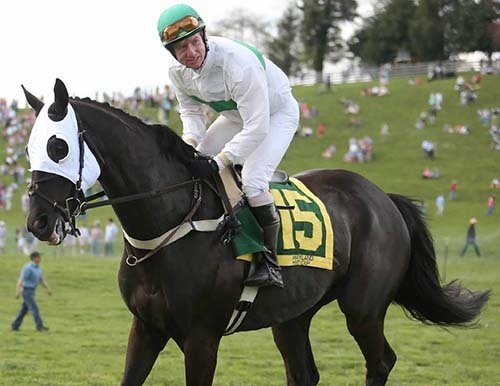 Originally from Elkton, Petty now lives just over the border in Unionville, PA and officially retired from steeplechasing at this year’s Fair Hill Point-to-Point on April 16, riding his last race aboard a horse named Dr. Skip in the Amateur Open Flat. In a way, Petty’s racing career came full circle that day as he first started galloping racehorses just across the road at the Fair Hill Training Center while attending North East High School. 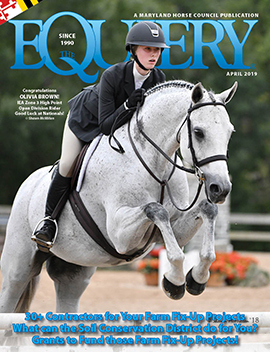 Right out of high school, Petty began working for Bruce Miller, foxhunting and schooling his younger horses. “It was actually Jay Meister who talked me into riding,” Petty said. From Miller’s stables, Petty moved on to working with Ricky Hendriks. “He taught me how to ride a race and put me on my first winner,” Petty explained. That first win was aboard Herbagar’s Fold, owned by William Lickle, in September of 1995 at the Fairfax Races in the High Weight Flat. Petty’s very first race was a few years earlier in March of 1992 when he rode Anticipate for owners Mr. and Mrs. J. David McDaniel in the Rider Opportunity Flat at the Farmington Hunt Point-to-Point. The pair finished third. Petty rode three more times that first year; the rest were hurdle races. The following year, Petty rode in seven races including his first over timber. His interest in the sport continued to grow; as did the number of races he rode each year. Petty’s first win over fences was in April of 1996 riding Nap, again for trainer Hendriks and owner Lickle, in the Maiden Claiming Hurdle at the Atlanta Steeplechase. From there, the list of races goes on and on. Over the course of his 25-year career, Petty has won 230 races, has come in second 187 times and third 163 times. One of the most awarded horses in his racing career was three-time Eclipse Award winner (2003, 2005, 2006) McDynamo. Owned by Michael Moran and trained by Sanna Neilson, the big bay gelding won 20 out of 33 starts, finished second six times and third once for career earnings of $1,314,450. Petty rode McDynamo for six of those wins, taking over the ride in October of 2005. With Petty in the irons, McDynamo won two of his three Eclipse Awards before being retired to Moran’s Unionville, PA farm. He also earned more than half a million dollars with Petty. For his stellar 2005 season, Petty earned the National Steeplechase Association Leading Jockey award. 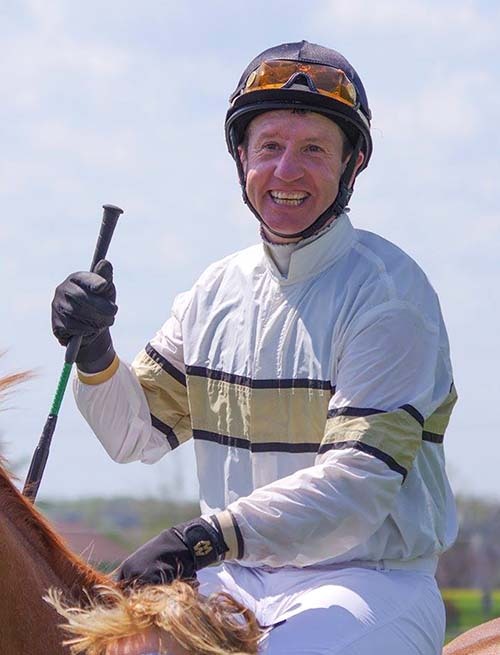 After more than a decade of riding as a professional, Petty decided to move back to the amateur world, specifically to be able to ride in the Maryland Hunt Cup. “It is hard to explain, but I wanted to go back to riding just for the fun of it,” he said. His Hunt Cup mount came in the form of a 10-year-old Irish-bred gelding named Guts for Garters. 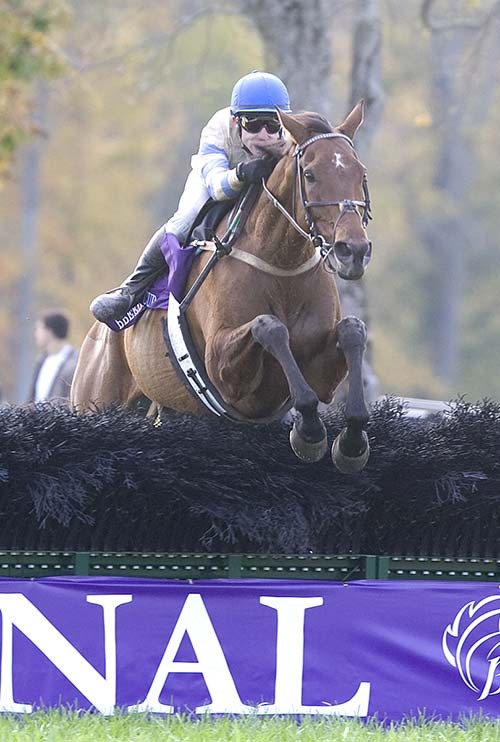 Originally imported in 2012, Guts for Garters won off the bat with the late H. Brooks Durkee in the irons in the Novice Timber at the Mr. Stewart’s Cheshire Foxhounds Point-to-Point that March. 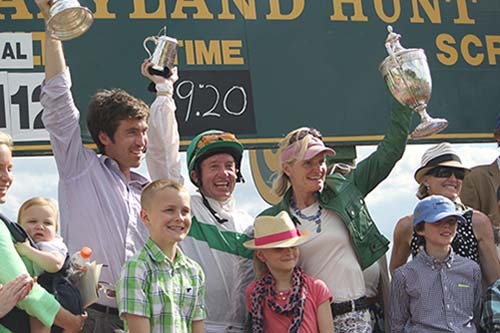 Petty took over the ride in 2013, finishing second in the Elkridge-Harford Hunt Point-to-Point Open Timber before placing third in their first Hunt Cup. Guts for Garters and Petty finished second to Raven’s Choice in the 2015 Hunt Cup and second again in 2016, nearly catching the winner Senior Senator at the wire. 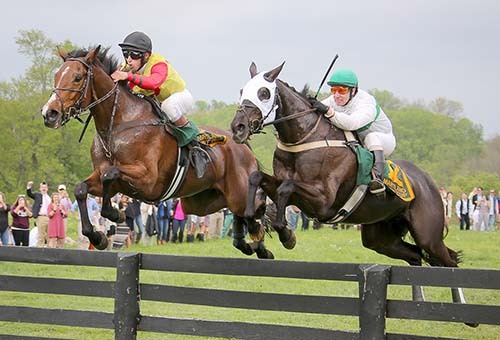 To recap, the pair rode in the Maryland Hunt Cup, the country’s most grueling timber race, four times in a row, finishing first once, second twice and third once. Impressive to say the least. Although Petty has said he is done riding races, he will not be disappearing from the racing world. After spending the last few summers down in New Orleans at the Fairgrounds, Petty has applied for a more permanent position there and plans to move this month.